Salvage yards are frequently revered as excellent locations for picking up crash repair car parts due to the number of cheap and readily available parts they have. 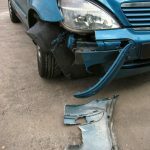 People who are unfortunate enough to have been involved in car accidents or collisions will likely have a number of parts that need replacement in their vehicles. As a result, they are naturally going to start looking for excellent and high quality salvage yards since these will be the best sources for all of the parts they need at prices that they can afford. Additionally, it will be necessary to have a good mechanic on tap due to the often complex natures of repairing cars with salvage parts. However, if one has never used a salvage yard to search for crash repair car parts, the process can be confusing at best and result in much needless frustration in the worst cases. Here are some things to watch out for when buying crash repair car parts. First of all, it is probably a good idea to keep away from the smaller and less established salvage yards, simply because these yards are the ones that are least likely to have the parts one needs for a particular car. This is simply because they will have fewer cars to choose from, which means they will not have nearly as many materials and spare parts on hand. Larger salvage yards will have far more options, but this does not mean that every large salvage yard is one and the same. The best salvage yards will be the ones that keep an up to date inventory of the parts they carry and the parts they can find from other yards. These salvage yards will be the ones that can provide accurate parts that are likely to fit without costly modifications. Try to stay away from the salvage yards that essentially ask people to start digging through rusty vehicles to find the parts they are looking for. Speaking of rust, this is another factor that one will likely have to deal with when buying crash repair car parts from a salvage yard. Second hand parts are notorious for being plagued with rust, and while it can be tempting to select a badly rusting part in order to save money or because it is harder to find a good part, it is not a deal one should take under most circumstances, as rust tends to spread and is a safety hazard when installed in a critical area of a vehicle. Look carefully through the parts that one needs or plans to purchase. It is a good idea to visit the salvage yard with the mechanic who will be putting the parts together, as he or she will be in a position to provide advise regarding the parts that should be selected and the parts that should be avoided. Similarly, because one will likely have to do some repair work to rid a part of dents or rust, it is best to look over the part completely and evaluate its structural integrity before the decision is made to purchase it for the vehicle. Without seeing the part in advance and evaluating it, repairs are likely to take far longer and be riddled with errors. It is best to take the damaged part along on a trip to the salvage yard so it can be compared to the part found at the yard.